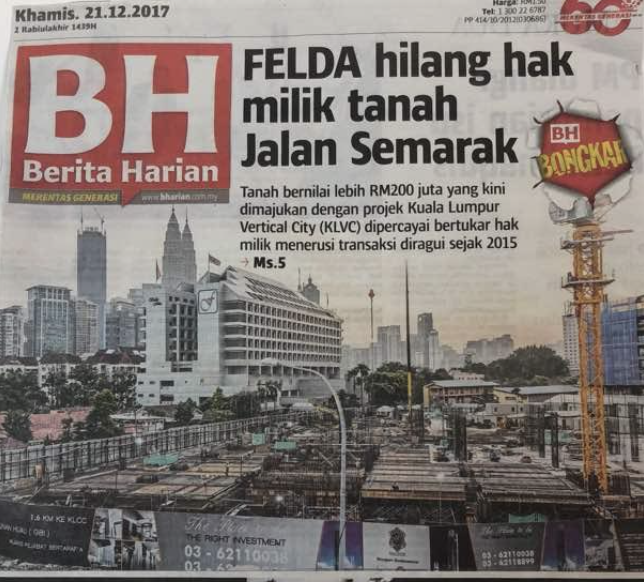 The facts are simple and quite known though some in authorities may want them forgotten: Felda general manager Abdul Ghani Ali, appointed by Shahrir in September, lodged a police report on Dec 12 on a deal involving a company called Synergy Promenade, believed to belong to "allies" of a former powerful Felda big boss, that could see Felda lose ownership of the land. 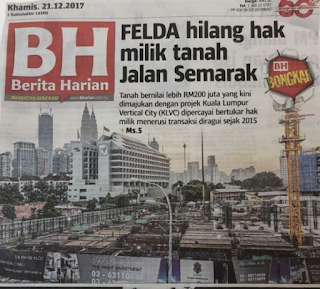 The front page by BH is an opportunity for Shahrir to push for a closure to the scandal and demand justice for Felda and punishment for the scoundrels. It will save not just Felda's Jalan Semarak land but also the integrity of this Administration. Felda had been hit by massive scandals after an attempt to get rid of a senior executive at FGV by the then Felda chairman Isa Samad. In Aug, Isa was even kept in remand by the Malaysian Anti-Corruption Commission to help in the investigations into massive graft. He was released after five days. 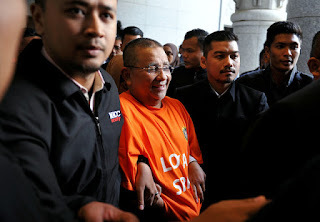 In Sept, the MACC said it was wrapping up the probe into Isa and Felda and would send in its papers to the AG Chambers for the next course of action. From September to end of December, the AG is taking an awfully long time to read the Investigation Paper. Wonder does he read. Just hope Isa is not a long time political ally in his days as twice candidate at Pengkalan Chepa. "Super smart" Neelofa is AirAsia board member!